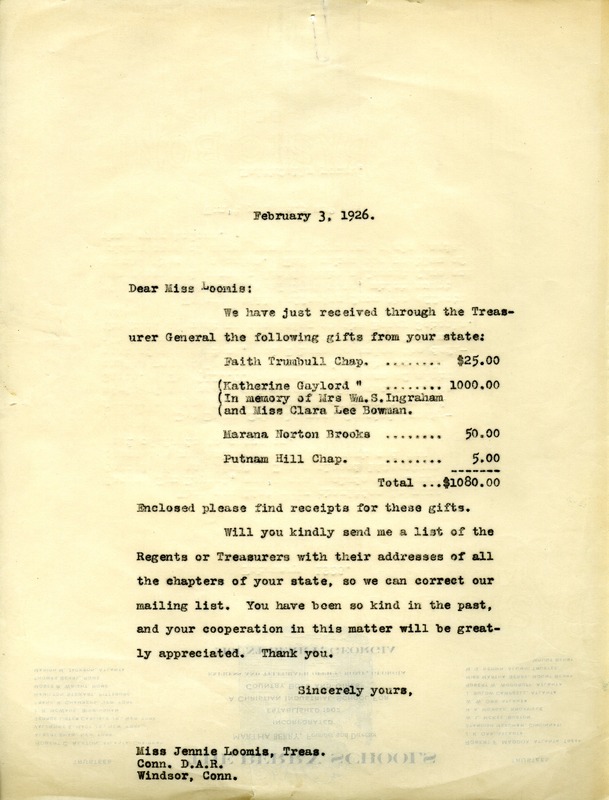 The letter from Martha Berry is thanking Jennie Loomis for the donations from her state. It also is asking for the addresses of the "Regents or Treasurers" so that she can thank them for their contribution. 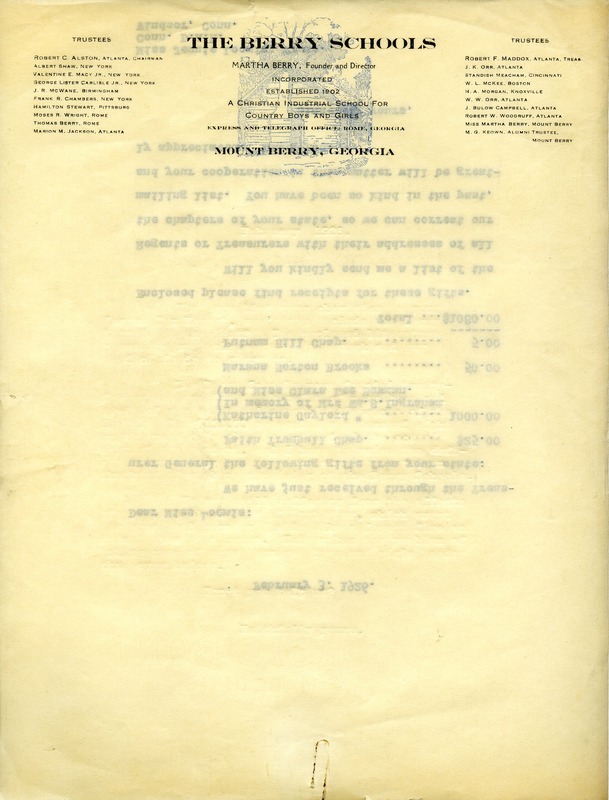 Martha Berry, “Letter from Martha Berry to Jennie Loomis.” Martha Berry Digital Archive. Eds. Schlitz, Stephanie A., Chelsea Risley, Jordan Brannen, et al. Mount Berry: Berry College, 2012. accessed April 21, 2019, https://mbda.berry.edu/items/show/2500.